The south Indian dhoti has been embraced as a happening fashion trend by divas all over India. I have spotted both bollywood celebs and Mango people sport this comfortable trend and summer is the best time to wear them. 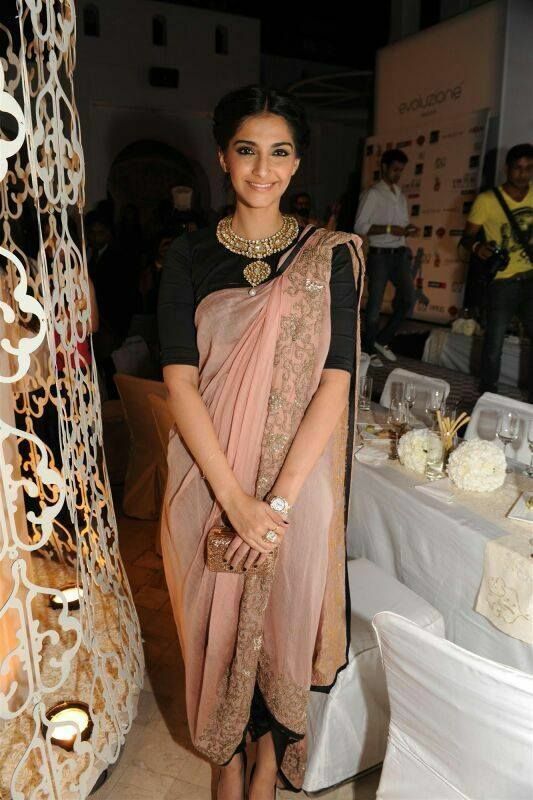 Dhoti sarees, dhoti dresses and dhoti pants are all a big hit with women these days and why shouldnt they be? They are airy, comfy and chic, a total must have this summers. Its time to ditch those denims let your skin breathe and embrace these pants. Hi-Low hem line kurtas fascinate me a tad bit too much and I spotted some celebs like like Sonakshi sinha, Yami gautami and karishma kapoor pair asymmetrical hemline tunics with dhoti pants, super sophisticated and chic. Love. Will try this soon, what do you think of this pairing? Love the peplum trend? Pair your favourite peplum top with dhoti pants for a sophisticated and polished look. Floor length gowns with a front slit are popular fusion wear these days ad many designers are pairing these gowns with dhoti pants. Opt for this silhouette when you have to go dressy like for a party wedding or festival. If you live in bangalore then you may have encounter cool days in summer months, for those days pair your dhoti pants with a jacket . A staple for summers kaftan is my way to jazz up and beat the heat. I am trying different combinations with kaftans like pairing them with Palazzos, denims and dhoti pants. For a more formal look pair your solid black dhoti pants with a crisp white shirt. You already have a lot of short kurtis in your wardrobe, give them a new life by pairing them with dhoti pants. 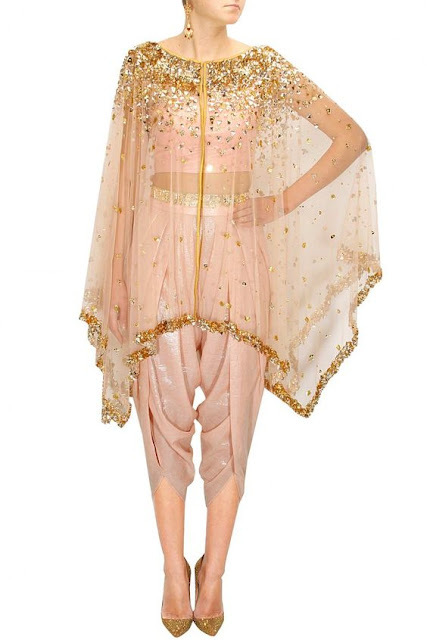 You can add more glam to a dhoti-kurti look by adding a mirror work koti/vest. A contemporary twist to traditional saree , dhoti saree is sure to grab you eye balls without compromising on comfort. 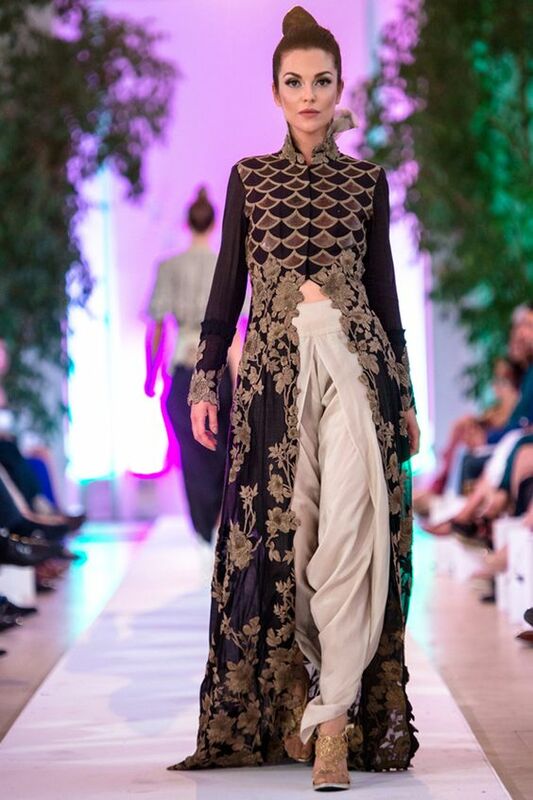 The comfort kurt is being reinvented in many ways and the dhoti kurti is one very trendy version of it. All body types can rock the free flowing dhoti pants but if you are on the heavier side dont go for pants with too much volume. For a more structured look pair dhoti pants with well fitted tops. With dhoti pants you can go monotone or mix comlementing colours. If you are pairing a same coloured top with dhoti pants add a net or chiffon dupatta in complementing colour for added impact.